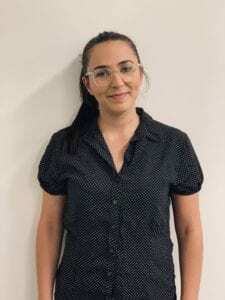 Andrea graduated from the University of South Australia in 1999 and has worked in the public and private sectors in both the country and the city. After completing a Masters Degree in Health Services Management in 2006, Andrea decided it was time to put his education to work and start his own practice, which culminated in the inception of AC Podiatry in late 2007.As a podiatrist, Andrea has spent much of his professional career refining his skills with particular attention given to biomechanical, sports and paediatric podiatry. In addition to standard podiatric skills, Andrea has also completed numerous workshops in Dry Needling and Mobilisation. 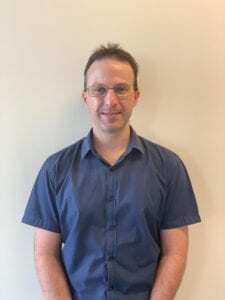 He is a member of Sports Medicine Australia, the Australasian Academy of Podiatric Sports Medicine, a Mentor to final year students and new graduates, and is currently the podiatrist for the Central District Football Club in the SANFL. Outside of work, Andrea is a father of two who loves nothing more than spending time with his family. His other interests include playing football (soccer), watching NFL, and travelling. 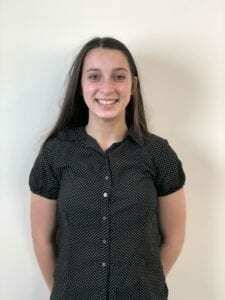 Clare Tushar has graduated from La Trobe University Melbourne with a double degree in Bachelor of Applied Sciences and Masters of Podiatric Practice. 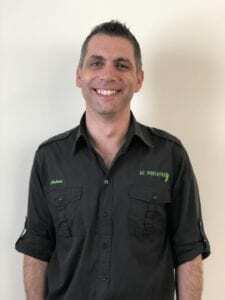 He has had experience in diverse podiatric environments including high risk podiatry in places like Alice Springs, surgical podiatry in Melbourne and also biomechanical and general podiatry. Tushar has been a part of numerous podiatric initiatives this far including oxfam charity trail and CONGRESS which offers healthcare in rural and remote Australia. Outside work Tushar loves to play tennis. He has played state level in the past and has also represented his university at the Sydney Olympic Village for AUGs. Tushar’s desire to improve foot health in rural Australia has brought him to Clare where he is working as a full time podiatrist. He has experience in varying podiatric environments and has an intense motivation and desire to make his patient’s feel special. 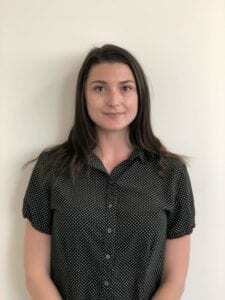 Adelaide CBD / Oakden Estelle joined AC Podiatry in July 2018 and has proven herself as an indispensable asset. She graduated from a Bachelor of Podiatry in 2016. Since then she has worked in country public health, aged care and is now perusing her interest in biomechanics. With a love for fitness, she has a special interest in stretching for recovery and helping people manage DOMs during a hard week of training. She has just started participating in Pilates classes and has just begun training in this area so she can teach others. Scott is the newest addition to the AC Podiatry team after coming on board earlier this year. Scott has had extensive experience with lower limb mobilisation and biomechanics and has a great passion for sports podiatry. In his personal time you will find Scott with his family and out at Little Athletics coaching. You will find Scott in our Golden Grove clinic on Monday and Friday. Alison is a very passionate health professional, having both a Bachelor and a Master’s degree in Podiatric Services. Alison specialises in neurological disorders such as Multiple Sclerosis, Parkinson’s and Motor Neurone Disease, as well as having experience working in the field of Mental Illness and patients with a non-English speaking background. Her enthusiasm for the profession continues to grow every day as a member of the AC Podiatry team. As a busy mum of two young boys, Alison still finds time to volunteer for her local State Emergency Service Unit. 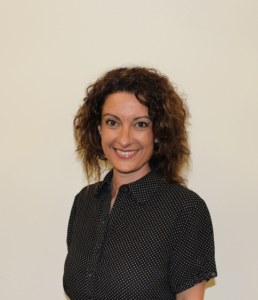 You can find Alison and her warm smile at our Oakden Clinic. Isabel joined AC Podiatry as a receptionist at the end of 2015. After finishing her Bachelor of Commerce (Marketing/ Management) she began the role of Practice Manager in January of 2018. Isabel has a keen eye for organisational systems and ensures the clinics can all run smoothly. You will find Isabel at our Oakden location, although she loves to pop into all of our rooms. 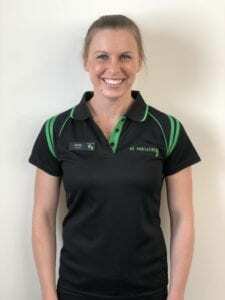 Outside of AC Podiatry Isabel is a keen athlete, and always finds time for netball on the weekends, Pilates and the gym. Teigan joined the AC Podiatry Family in June of 2016. 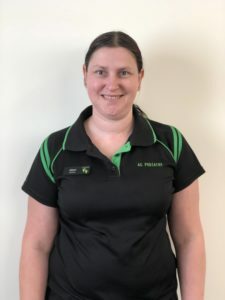 You will see Teigan predominantly working the desk at our Oakden clinic however she may pop around at our other locations when needed. Outside of work she enjoys the gym, being a foodie, spending time with family and friends and playing with her puppy Mia. Teigan has also completed a Certificate lll in business administration which has allowed her to excel in this industry. Madison joined the AC Podiatry team in August 2017 with 5 years experience in the ares of customer service. Madison completed a Bachelor of Social Science (Psychology) in 2017 and is now completing her Masters in Social Work. You will find Madison predominately in our Clare clinic, however she likes to work in our metro based clinics too. Outside of work Madison is a keen volunteer of the Country Fire Service and has been for the past seven years. 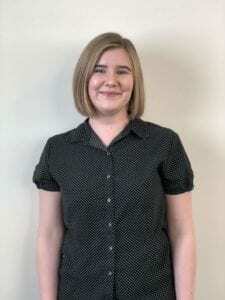 Teresa joined AC Podiatry as a receptionist in September of 2018, working primarily at the Halifax Street Clinic. As well as working as a receptionist, Teresa is currently completing a double degree in Law and Arts, majoring in History. When she is not working hard or studying, Teresa keeps fit by competing in aerobics competitions and playing women’s footy, and passes the time by playing music. 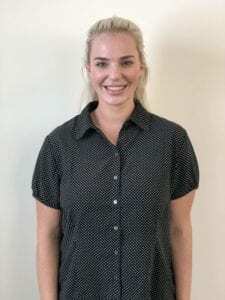 Golden Grove Urszula joined the AC Podiatry team in December 2018. Urszula has 8 years of customer service experience and has also completed a certificate III in Business Administration. You will find Urszula predominantly working at the Golden Grove clinic. Outside of work she is a yogi, enjoys travelling and loves baking up a storm to share with family and friends. Ada joined the AC Podiatry Team in November 2013. Ada has a Bachelor of Early Childhood Education, Diploma of Community Services (Childcare) & Certificate IV TESOL. Ada is the teams Virtual Assistant and predominately works in the background. Ada has a love for languages, travel and dancing (especially Flamenco).